Leave a comment to win a copy of this book! FINDING INNER PEACE DURING TROUBLED TIMES is a short booklet, that is easily read in one sitting. Written as an essay for a man looking for peace, it includes Bible references and plenty of space to write your thoughts and notes down. This essay takes Jesus at His word, when He promises us peace now. Obviously written after much study, FINDING INNER PEACE DURING TROUBLED TIMES does help the reader feel a bit more peaceful after reading all the Biblical reminders of God’s promises. $5.99. 26 pages. As we enter the season of Lent, our minds are focused not only on fasting, but on prayer. In his book, Finding Inner Peace During Troubled Times, author William Moss shares with readers the secret of finding inner peace through prayer and Christian meditation. This year, will you make finding inner peace one of your focuses for Lent? In his new book, Finding Inner Peace During Troubled Times, author William Moss shows readers that inner peace is indeed attainable in the person and presence of Jesus. As a high-powered businessman and a key political decision-maker, Moss has faced his share of daily distractions. For over a decade, he has studied and practiced the lost art of Christian meditation. A 25 minute pre-recorded interview with William Moss is available for download at www.ureadbooks.com/moss. Q: Our world is characterized by war, violence, and conflict, and many of us experience that conflict in our inner beings. What would you say to those who long for inner peace but wonder if it is possible to find? A: I believe God wants us to find peace and will show us the way, if we are willing to accept it. But for many of us, the peace of God is elusive, and we are not sure how to accept it. How do we search for this peace? Should we isolate ourselves from the world around us by withdrawing and adopting an inward focus, that we might gain that peace for ourselves? Though this seems the obvious answer, I believe those who are in Christ should avoid the kind of self focus and withdrawal that would preclude us from being involved in the solutions of the many problems that confront us. Instead, we search for inner peace because we want to share it, that we may be able to help others. Inner peace, like life, is a gift from God that is for His glory—and it is meant to be shared. Q: If God wants us to find peace, why is it so rare to meet someone who has truly found it? A: Obviously, there are many difficulties, distractions, and hardships that stand in the way of our inner peace. Today there are some distractions Paul did not include such as: worry, self-preservation, hunger, lack of money, arrogance, competitiveness, criticism, and illness, to name a few. It is these distractions—whether due to circumstances or the attitudes of our hearts—that stand between us and the inner peace we crave. To listen to an interview with William Moss, visit www.ureadbooks.com/moss. Q: Who is the source of our inner peace? Jesus gives peace to every believer. But so often, we allow the distractions of our days and our choices to pursue sin instead of the character of Christ to prevent us from accepting that peace. Q: Some Christians have been wary of the art of Christian meditation because they have associated the word “meditation” with Eastern religions. Why is meditation so vital to our search for inner peace? A: We live in a strange and changing world shaped by banking collapses, recessions, wars, politics, famine, hurricanes, pollution, and diverse economies and demographics. How does this changing, strange world affect our daily decisions? Where does God fit into all of this? One of our biggest hurdles to hearing God’s voice is the fact that we simply are not listening. Many people wrongly believe that Eastern religions have the monopoly on “meditation.” The truth is that meditating on scripture was a spiritual discipline valued by the early church fathers, and it is a practice the church desperately needs to return to today. Whereas the aim of eastern meditation is to focus on nothing (in effect, emptying the mind), Christian meditation is about filling the mind—focusing on Holy Scripture and Christ. With the constant stream of media, noise, commitments, conflicts, and other distractions, you will not likely find times of quiet, stillness, and spiritual reflection unless you are intentional, unless you pursue meditation as a discipline. Through prayer and meditation we can transcend all the distractions and difficulties of our days if we live by the Spirit and put God’s love and presence first. Q: What role does the Holy Spirit play in our search for inner peace? A: God’s Spirit is within us constantly. As we read in John, “We know that we live in Him and He in us because He has given us His Spirit.” Therefore, because God is in Jesus, Jesus is in you, and you are in God. The Holy Spirit dwells in you at all times, and it is the Holy Spirit that connects you to Christ and to God, the power source that brings inner peace. Prayer and Christian meditation takes on a completely different quality when we realize that God knows us intimately from within. And God is love; within God’s love are the seeds for inner peace. When God comforts and encourages our souls through His love and when we share that love with others, He is guiding us along the path that leads to inner peace. Q: Because the practice of Christian meditation has been neglected for so long, many Christians aren’t sure how to begin. Can you offer an example to get them started? A: Start prayer and meditation by finding a quiet comfortable place, by closing your eyes, by breathing deeply until you are completely relaxed. Quietly and slowly open your heart and mind to a loving God whose Spirit is dwelling within you. Breathe in love, breathe out anger. Breathe in peace, breathe out despair. Relax: let God’s love into your heart. Be calm. Be at peace. Take more deep breaths, and feel the stress, anxiety and fear drain from your bodies. This exercise will prepare you to listen to God’s voice as you concentrate on a scripture passage and to respond in prayer. Q: What is the most important message you want to communicate in Finding Inner Peace During Troubled Times? A: If we seek inner peace we will find it. In the book of John, Jesus says “And I will do whatever you ask in My name, so that the Son may bring glory to the Father. You may ask Me for anything in My name, and I will do it.” So many people don’t experience inner peace because they haven’t truly sought it. My hope is that through reading this book, people will commit themselves to that search for inner peace and share this peace to the glory of God. What is faith and why does it matter? Make sharing your faith a priority in the new year! Many people don’t realize they’re living by faith, and few would be able to describe their faith path. But in the Faith Path workbook and DVD series, based on the book Choosing Your Faith, (which Mittelberg coauthored with Lee Strobel), Mittelberg discusses the six common faith paths (relativistic, traditional, authoritarian, intuitive, mystical, and evidential) and how some are definitely more helpful than others. Not all faith paths lead to something good. Some are dead ends. Many Christians cringe at the thought of talking with non-Christians about faith. It’s almost like trying to explain music to a deaf person or a painting to someone who is blind. But one important thing any Christian can do is understand their friends—listen to them and consider how they think. Then it becomes possible to truly communicate God’s truth. The Faith Path workbook and DVD can be used by church groups and individuals with a heart to more effectively engage unbelievers in faith conversations. The program builds on Mittelberg’s sensible, evenhanded approach to evangelism. DVD segments include teaching from Mittelberg, as well as short interviews with fascinating people talking about the faith paths they were on before they came to Christ. Interviews seen on the DVD are then discussed in a thought-provoking, enjoyable group format, as well as in workbook entries. Among other things, participants will learn to recognize the danger of paths that lead away from Christ and will deepen their own faith in Christ and reinforce their reasons for believing. Emma Miller’s sixteenth birthday is fast approaching, and with it, interest from an English boy, James Davis. Emma has finished school, and started her own wool business, saving money to buy her own loom. Emma’s father, an Amish deacon, is quite strict with Emma, even to the point of wondering if she is overly ambitious with her own business. But when Emma starts seeing an English boy with a fast truck, Emma’s father has more to worry about. Hannah Miller is newly married and still adjusting to a new husband with a daughter. Still, she’s upset when six months go by and she’s still not with child. But that is the least of her concerns when her husband seems to get all heavy handed, making huge decisions without her input—especially since things he decided to sell belong to her. Emma is torn between the English world and the Amish. Is there a middle ground compromise? Or will she be forced to choose one over the other? NEVER FAR FROM HOME is book two in Ms. Ellis’ The Miller Family series, but it is the first book I’ve read by this author. I was easily able to get an idea with what was going on in this series, even though I never read book one, but the series is obviously a continuation where one might have a better idea what happened if they had started with A Widow’s Hope. The characters were a bit flat, and not three dimensional, and there is quite a lot of telling in the story, which kept me distant. Still, the message that this book brings home is a truth that we can all heed. Ms Ellis apparently tried to write in the style of Beverly Lewis, but Mary Ellis’ voice is gentler, so it reads more like Wanda Brunstettler. Fans of Amish fiction will not want to miss this relatively new author’s efforts. $13.99. 298 pages. Jayne Tate is a top-notch reporter at a top Portland newspaper, but with the death of her father, Jayne’s work is beginning to suffer. Her boss strongly suggests that Jayne take a three week vacation so she can rest and get her head back into the game when she returns. Jayne isn’t real happy about it, but she reluctantly agrees, but instead of going home to be with her mother and sister, Jayne heads out to Amish country, having decided to freelance an article about the Amish. The first person she meets is Levi Burkholder, the owner of an Amish furniture store. He agrees to set her up at an Amish farmhouse while she is in town, and so he takes her home to meet his family—his mother and siblings. Martha is more than happy to board Jayne for a few days, and Jayne immediately is immersed into the family. There she learns that even though Levi was never baptized into the Amish church, he has been essentially shunned by his father and brothers. Even though Jayne is seeing a man back home in Portland, she is attracted to Levi and the simple life he represents. But will this laptop using, motorcycle-riding reporter give up her dream career for a chance with a carpenter? What will it take for her to reconcile with her family? PLAIN JAYNE is a no-holds barred look at the Amish from an outsider’s point of view. This is the type of information I found when I started seriously researching the Amish, and stuff that most Amish writers seem afraid to touch. This book doesn’t just scratch the pretty surface of the Amish; it gets down and shows you what is in their closets. I really appreciated this. I totally love PLAIN JAYNE and absolutely cannot wait for the next book in this series to be released, and I hope I’ll have a chance to review it. This is an absolutely wonderful book and I can’t praise this debut novel high enough! $13.99. 289 pages. Jayne Tate is an investigative reporter for a major daily. When her editor demands she take time off to grieve the death of her father and get her writing back up to par, Jayne instead follows her instincts. She's certain there's a story to uncover about the Amish, but where to start? An initial interview with the intriguing owner of an Amish furniture store opens the door for Jayne to live with the Amish family he left behind. What she doesn't yet know is that her journalistic observations of this sincere, yet conflicted family are destined to cause reflections of her own childhood. Jessica Morgan is running from her past. She doesn’t want the life that was mapped out for her, and instead chooses a small, peaceful town in Oregon to start over. She is hired as an English teacher, but on the way into town she is in an accident, totaling her car. Fire and rescue worker, Kyle Buchanan, is first on the scene, and he goes above and beyond in trying to help Jessica settle her first few eventful hours in Glenbrooke. But everything in Glenbrooke is not a bed of roses. Jessica did make friends easily, and Kyle seems to be interested in her, but the school’s new principle seems to be out to get Jessica. Can Jessica even survive a month in Glenbrooke? Or will she go running back to where she came from? What will it take for Jessica to open her heart to love? SECRETS is the first book in Robin’s Glenbrooke series, originally published in 1995. I read SECRETS (and the whole series) when they first came out, and I fell in love with them then. It is kind of nice to be send this book in participating in a grab bag tour – it was like revisiting an old friend. SECRETS might be a little out of date now, (no cell phones, computers, and she drove a station wagon) but it still has heartwarming characters that will make you fall in love with them. I can’t wait to revisit the other books in this series. If you missed SECRETS the first time around, then you won’t want to miss it now. I love this book. A couple sample chapters from Robin’s Sister Chick series are included at the end of the book, as well as a recipe for currant scones. I can’t wait to try it! $6.99. 267 pages. Aristocrat Rogan Chantry is the son of the squire of Grimston Way, and he has fought to win his independence from Sir Julien Bley and the British South Africa Company. Now, he is in pursuit of a mysterious deposit of gold, marked on a map willed to him by his murdered uncle. But this quest is challenged by the impending British colonization of South Africa. Rogan dreams of going back home to Evy, but first he wants to find the gold—but can he even do so in the midst of escalating tensions among the natives, the missionaries, and the colonists? And is Evy even alive to come home to? YESTERDAY’S PROMISE is book one in the East of the Sun series, originally published in 2004. If you missed this book (or series) the first time around then now is your chance! The conversation is a bit stilted in the story, but that may be the way people talked back in 1898 in Britain and her colonies. Ms. Chaikin is a master at description, making me see the cottages, feel the rain, and the dampness of the cottages. I almost could smell the flowers. If you enjoy historical British fiction, then you won’t want to miss this reissue of YESTERDAY’S PROMISE. A map is included in the front of the book, and a timeline and the author’s historical notes are included at the end of the book. $6.99. 367 pages. Lucinda Bishop is seventeen, and now a wealthy heiress to her father’s estate, since her parents’ untimely deaths. But, under-aged, Lucinda is sent to Oklahoma to live with her aunt and uncle on their ranch until she is eighteen. Lucinda is glad to leave her hometown of Boston, as she fears an uncle who was rather upset that Lucinda inherited property and he didn’t. When Lucinda arrives in Oklahoma, the first person she meets is Jake Starnes, a cowboy working for her relatives. Jake and Lucinda are instantly attracted, but Jake is a drifter running from his past. And Lucinda is repeatedly warned away from the handsome cowboy. As Lucinda struggles with her emotions, Jake starts reading the Bible and learning about God’s love for him. But with this truth comes the realization that Jake must accept the consequences of his past—even if it means losing the girl he loves. BECOMING LUCY is the first book in debut author, Martha Rogers’ new series, Winds Across the Prairie. I was honored to be able to review this book for Ms. Rogers, and to be an acquaintance, watching her plod toward her publishing dreams. I am so happy that Ms Rogers succeeded. BECOMING LUCY is a charming debut novel, tender and sweet. Lucinda is a realistic character, sweet, charming, and every inch a lady, thrust into unfamiliar situations. In a way her naivety reminded me of Maria on The Sound of Music. Jake too is struggling with unfamiliar emotions and he doesn’t know how to act around Lucinda. The writing of BECOMING LUCY is top-notch. Don’t miss BECOMING LUCY, and look for the second book in the series, Morning for Dove, coming in May 2010. 289 pages. Martha Rogers placed her faith in Jesus Christ 65 years ago. He has seen her through her step-father's sexually abusive behavior toward her sister and brother, her own breast cancer, two mastectomies, two miscarriages, her husband's heart attack, her grandson's cystic fibrosis, and the deaths of her parents. She holds a Master's degree in education and enjoyed a 36-year teaching career. To say she's an inspiration to those of us trying to walk a faithful path is a gross understatement. Skylar Hoyt has decided to change her partying ways, but this isn’t as easy as she thought it would be. Now she’s an outsider with her old friends. Not to mention it is really awkward going back to school for the second semester with a new boyfriend, but having to see her old boyfriend, and her new boyfriend’s old girlfriend, during virtually every class. Home life isn’t much better. Skylar’s younger sister is battling a pregnancy, and trying to decide whether or not to keep the baby. If that isn’t enough, she also has a new boyfriend, yet the baby’s father is still trying to be involved. And Skylar’s mom has left, multiple times, leaving the home life rather unsettled. As Skylar struggles with her identity, she’s fielding requests from her boyfriend to spend more time together. And now, Skylar feels that she can’t win. After all, how do you chose favorites among the people you love most? Once I got into the story I found Skylar a believable character. She is rather depressed acting, but with everything going on in her life, that’s understandable. I was rather glad I’m no longer a teenager, so I don’t have to deal with all the drama in real life. If you are a teen (or know one) who is trying to reinvent her life after making major mistakes, then perhaps OUT WITH THE IN CROWD would be a good book to read. Book three, So Over It is scheduled for release in July 2010. $11.99. 249 pages. HOW DO YOU START OVER AGAIN IN HIGH SCHOOL? Teens have embraced Skylar Hoyt, the title character in The Reinvention of Skylar Hoyt series by debut author Stephanie Morrill. Skylar is a character readers can relate to, as she struggles with popularity, fitting in and figuring out what really matters in the midst of it all. In the second book of the series, Out with the In Crowd, Skylar is struggling with her circle of friends: She’s vowed to change her partying ways, but it's not so easy to change her friends and her old life is constantly staring her in the face. Add to that two parents battling for her loyalty, a younger sister struggling with a crisis pregnancy, and a new boyfriend wishing for more of her time, and Skylar feels like she can't win. After all, how do you choose favorites among the people you love most? Stephanie Morrill is a member of the American Christian Fiction Writers and the Teen Lit writers' group. Morrill is the author of Me, Just Different and Out with the In Crowd, and she also serves in youth ministry. She lives in Kansas with her husband and young daughter. CIA Agent, Bo Rider fears the worst when his contact in China loses contact with him for two months. Bo’s boss believes that China has discovered a spy in their midst and wants him to discover if “Solo” is safe. But Bo’s email goes unanswered. Amber Worthing is an archeologist digging in China and has uncovered a two-thousand year old mummy. Unfortunately, she also witnessed a secret rocket launch at a Chinese missile base, and she is arrested for espionage. Now she is in a Chinese prison, and her young son, Lucas, finds himself in a custody battle between his grandparents. Amber struggles to keep the faith as she’s caught between sinister world powers. And now Bo has discovered that the Chinese have a killer satellite poised to destroy America. Can he stop them in time? And who will rescue Amber from her imprisonment? HERO’S RANSOM is the first book that I’ve read by this dynamic writing duo. Diane Munson is an attorney as well as a Federal Prosecutor, and David Munson is a retired Federal Special Agent, so both of their careers came into play in this thriller. I found the characters behaved in a very authentic gender-true manner, something that is extremely rare in most fiction. The writing is very tight, very concise, and almost chillingly relevant. The action also was gripping, capturing me from the first page, and holding it until the end. If you like reading convincing suspense, then don’t miss HERO’S RANSOM. This is a book that will keep you on the edge of your seat. $14.99. 310 pages. Bella Rossi’s wedding business has had a successful first themed wedding and now, she’s facing her toughest assignment yet, making a Medieval wedding, complete with a castle and a moat, perfect for the bride-to-be. Bella’s boyfriend, DJ. is so patient with Bella when business causes her to ignore his phone calls, or cancel their dates. And Bella’s aunt Rosa is going to be featured on the Food Network. Everything is perfect! But then, the bride-to-be introduces the best man, her groom’s best friend, who happens to be a world famous actor, Brock, who happens to be Hollywood’s hottest, and the most eligible bachelor. But then Brock starts showing an interest in Bella. Plus, he is lodging at her house in order to hide from the paparazzi! When you add Bella’s starstruck sister and a loud, feuding Italian family, you have a recipe for disaster—and a lot of laughs. SWINGING ON A STAR is the second book in Ms. Thompson’s Weddings by Bella series. I recommend reading book one, Fools Rush In, first, as SWINGING ON A STAR does refer back to it, but if you can’t get your hands on the first book, then there is enough backstory included in SWINGING ON A STAR to be able to figure out what is going on. I enjoyed reconnecting with Bella, and just knew that things were going to start going wrong—and couldn’t wait for them to start. SWINGING ON A STAR is a fun read that will keep you laughing. And with Valentine’s day approaching, what better time to read a romance? Don’t miss SWINGING ON A STAR. Top ten cruising tips are included at the end of the book. $14.99. 328 pages. Bella's quirky, crazy family life adds humor to this modern love story. A light but satisfying series debut that will appeal to fans of Kristin Billerbeck. Janice Thompson returns with another hilarious tale in the Weddings by Bella series with Swinging on a Star. In this latest release from Thompson, Bella Rossi's life is nearing perfection. She's got the perfect guy, she's running a successful business, and she's about to plan her most ambitious wedding yet, a Renaissance-themed fairy tale come true, complete with period costumes and foods, horse-drawn carriages, and even a castle. There's just one hitch. The best man just happens to be Brock Benson, Hollywood's hottest and most eligible bachelor. Oh, and did we mention he's staying at the Rossi house to avoid the paparazzi? a recipe for disaster—and a lot of laughs. This hilarious romantic comedy is sure to delight both fans and new readers alike. Five years ago, Ariana Forsythe married Mr. Phillip Mornay. Now Ariana and Phillip have two children, and Ariana’s family have descended upon them to visit the newest addition. Among them is Ariana’s seventeen year old sister, Beatrice, who believes she is quite grown up and ready for a London season. .
Curate, Mr. O’Brien has been reassigned to the Mornay’s estate, and Beatrice is reminded about her rash declaration to marry Mr. O’Brien someday. But now, marrying a mere curate doesn’t appeal to her in the least, she prefers a man as wealthy as her brother-in-law. When Tristan Barton comes to the countryside on a mission for the Prince, Beatrice believes she found her match. But then secrets, motives, and pretenses are come to the surface, and things are discovered to be not as they seem! THE COUNTRY HOUSE COURTSHIP is the third book in Ms. Burkard’s series, and a delightful addition to it. I recommend reading Before the Season Ends, and The House in Grosvenor Square first as events are referred back to and the reader will want to know what happened. Ms. Burkard displays a clear knowledge of the regency time period, with terminology, actions, attitude, and dress. I did have some issues with the point of view shifts, that were jarring at times, but all-in-all, THE COUNTRY HOUSE COURTSHIP was a pleasant read. Discussion questions and a glossary are included at the end of the book. $13.99. 287 pages. Publishers Weekly acclaimed the work of Burkard in its review of The House in Grosvenor Square, saying, "Ms. Burkard's command of period detail is impressive..On the whole, it's a tasty confection." Burkard, a fan of classic romances and graduate of City University of New York, began writing stories when she couldn't find true Regency romance within the inspirational fiction category. "I knew that many women like me want stories that are historically authentic and offer glimpses of God's involvement in our lives," she says. Raised in New York, Burkard now lives with her husband and five children in a town full of antique stores and gift shops in southwestern Ohio. To learn more about her, visit www.linoreburkard.com. Charlotte and the other ladies of the Bedford Community Church are cleaning out the church basement as part of their community service project. But when digging through boxes of stuff, one of the ladies finds an article about how Charlotte’s grandfather was convicted of stealing money designated for the church. Charlotte remembered hearing stories about that, but also remembered that her grandfather always said that he never stole that money. Now it seems as if the other ladies of the church are looking at her with suspicion, and Charlotte wants to prove her grandfather’s innocence. But how is that even possible, so many years after the fact? Were clues left that she can follow? Or, are bygones best left buried in the past? ALL THINGS HIDDEN is the eighteen book in the Home to Heather Creek series, but it easily stands alone. I only read a few of the books in the series, but I had no problem catching up and following along with what was happening. Charlotte and her family are realistic characters that could live in any small farming town. I enjoyed getting to know each of them, and adding a Czech foreign exchange student to the story was a brilliant idea on Ms. Goyer’s part. It really added an extra spark to the story. Don’t miss ALL THINGS HIDDEN, or any of the Home to Heather Creek series. You can find them at www.guideposts.com, or by calling 1-800-431-2344. 244 pages. Charlotte is cleaning out the basement of Bedford Community Church when she comes across a tattered and yellowed newspaper article. The clipping, published more than a century ago, implicates her great-great-grandfather in the loss of funds intended to help finish building the church. Charlotte has heard stories about the incident through the years, but now it seems the past has come back to haunt her. Is it just her imagination or are people treating her differently now that they think she's descended from a crook? Will Charlotte be able to clear her family's name once and for all? Meanwhile, Sam is spending time with a new girl in town-and is keeping secrets from his grandparents about where they go. Christopher is trying to get an article published in the local paper, and Emily reluctantly partners with a foreign exchange student on a class project and eventually comes to see that they're not that different after all. As old secrets are brought to light, the whole family is reminded that the truth is often more complicated than it seems. Come home to Heather Creek. Get to know Charlotte Stevenson, who is raising her grandchildren on the family farm after a tragic accident changes all of their lives forever. With the help of her husband Bob and a close-knit circle of friends, she will do whatever it takes to keep this fragile family together. See how God, who makes the sun rise and the crops grow, watches over our lives too. Tricia's first book in the Home to Heather Creek series was Sweet September (book two) followed by Every Sunrise (book seven) last spring and Sunflower Serenade this summer. All Things Hidden is book eighteen in the continuing story of the Stephensen family! to post a review on Amazon, CBD or B&N! Follow one of the options below to be entered into a contest to win the ENTIRE set of the Home to Heather Creek books (books 1-18)! Read about @triciagoyer's #AllThingsHidden. http://ow.ly/14nNd RT and try to win the ENTIRE set of the Home to Heather Creek books (books 1-18)! LIFE LESSONS FROM A HORSE WHISPERER is not exactly what I expected when I saw this book, but it is infinitely better than what I thought. Profoundly engaging, Dr. Sterrett, and his co-writer, Bob Smietana, have managed to make a nonfiction book positively glisten in ways that most nonfiction works don’t. Dr. Lew Sterrett is a champion trainer, who has learned the hard way to listen to the horses, and to use patience and a firm but gentle hand to earn the trust of more than 3.500 horses, from wild mustangs to the most sophisticated European breeds. Through working with horses, Dr. Sterrett illustrates Christian relationship principles for parents, young people, business leaders and athletes. LIFE LESSONS FROM A HORSE WHISPERER is an absolutely captivating read that has you from page one, as you read about Dr. Sterrett’s childhood, teen years, and adult years. He shares mistakes he’s made (or witnessed others make) in a honest way, making you totally trust this trainer—even from the printed page. I can see where he is effective with training horses, and giving live demonstrations with his Sermon on the Mount demonstrations. I would love to have the opportunity to see Dr. Sterrett in action. Pictures of Dr. Sterrett working with different horses are included in the center of the book. LIFE LESSONS FROM A HORSE WHISPERER is a book that needs to be read by everyone. Not just for horse-lovers, this is a book that ministers to the heart of people everywhere and teaches relationship messages that are invaluable whether you are working with the young, elderly, or even difficult co-workers. $13.99. 218 pages. A champion trainer and true horse whisperer, Dr. Lew Sterrett has used patience and a firm but gentle hand to earn the trust of more than 3,500 horses. In this book, Lew tells the stories of his work with these horses and the lessons each one has taught him. Sometimes heartbreaking and often uplifting, Lew has condensed his lifetime of learning into messages for the Christian life. Today, Lew shares these messages with more than 50,000 people each year through horse training presentations at Miracle Mountain Ranch and nationally through his Sermon on the Mount Ministry. The author's engaging style and adroit mixture of well-tested anecdotes and thoughtful instruction make this a winning read-and not just for horse lovers. A champion trainer and true horse whisperer, Dr. Lew Street has used patience and a firm but gentle hand to earn the trust of more than 3,500 horses. Lew Street (Ph. D) had little idea that his boyhood interest in horses would open doors internationally for speaking and training. During his years in 4-H, he savored many opportunities to train and show horses and earn national recognition. As a student leader at Penn State University he benefited from many mentoring relationships from which he received valuable training, experience and honors. This foundation provided a basis for an extensive horse career with a unique emphasis on training youth and community leaders. Lew has served as the Executive Director of Miracle Mountain Ranch Missions, Inc. (MMRM) since 1977. MMRM, located in northwestern Pennsylvania, is home for a summer youth camp, and a leadership training center for youth, adult, and family groups. He has also promoted safety in public riding programs, serving as President of the Certified Horse Association for 7 years. A licensed pastor, certified Youth, Marriage and Family Counselor, he earned his PhD from North Tennessee Seminary in 2007. It is from this broad perspective of training and experience, that Dr. Street has readily gained a hearing from audiences internationally teaching lessons for life and leadership from the language of the horse. In addition to a host of published resources and regular T.V. programs, Lew travels extensively presenting his horse training messages under the banners of Principle Based Training, Leaders by Heart, and Sermon on the Mount. Tweet the following to be entered to win a $50 Amazon gift card & signed copies of Lew's book! A MOM’S ULTIMATE BOOK OF LISTS is the handbook that parents through the ages have been waiting for. I wish this book had been available twenty years ago when I was expecting my first child. Full of invaluable advice, and all kinds of lists covering tons and tons of subjects, this book will be referred to time and again, whether you are expecting your first child or if your baby is four years old. 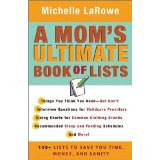 Don’t A MOM’S ULTIMATE BOOK OF LISTS. This is a must have for 2010. $13.99. 336 pages. that answer everything from pregnancy through preschool. As a professional nanny for more than 15 years and now as a mother herself, Michelle LaRowe has seen it all. She was even recognized as “Nanny of the Year” by the International Nanny Association in 2004, and the following year, President George W. Bush praised her for her dedication to in-home child care. Now she shares her vast knowledge and expertise with moms everywhere, in her new book A Mom’s Ultimate Book of Lists, in which she provides the most sought-after and up-to-date information for parenting children from birth to age 5 in one easy-to-navigate resource. Also included is a special section dedicated to pregnancy. In compiling this collection of 112 of the most practical lists for moms to live by, LaRowe ruthlessly sorted through the most reliable sources and tried-and-true recommendations for raising healthy and happy children. Organized in an easy-to-find format, her book offers mothers the chance to find all the answers to their most pressing parenting questions in one resource. No more having to wade through outdated books, make sense of conflicting expert opinions or search for reliable information online: LaRowe has done all the meticulous research, combined with her professional know-how and experience, so that mothers can spend their time doing what they love best: Being a mom. o What’s safe and not safe during pregnancy? A Mom’s Ultimate Book of Lists: 100+ Lists to Save You Time, Money, and Sanity. HEARING FROM GOD EACH MORNING is a collection of 365 daily devotionals. Short, and easy to read, each devotional is designed to help us obtain a more intimate relationship with God. Ms. Meyers also hopes to help us cultivate qualities and behaviors that will help us to recognize God’s voice. Compiled from teachings from How to Hear From God, Knowing God Intimately, and The Power of Simple Prayer, HEARING FROM GOD EACH MORNING will help you to listen to the one most important voice of all—the voice of God. >Sustain relationships with others while developing your intimacy with God. I enjoy getting a new devotional in the mail and trying them out, either in my private devotions or in our family devotions. This book we tried out as a family. Each devotional starts with a verse, then it goes into a very brief (often less than one page) devotional, usually only about two or three paragraphs. And it ends with an application entitled God’s words for you today. I would have liked to have a ribbon bookmark included in the book to keep my place, but each devotional is also marked with the date, so as long as you know what date it is, you can find it easily. HEARING FROM GOD EACH MORNING is an attractively done hard-cover book which will look good on your bedside table, or beside your easy chair. This book is a great devotional to start your day with. $15.99. 365 pages. Jonica wants a baby. She and her husband, Ben, have gone through years of fertility treatments, and they have failed. Now, in debt from the procedures, and tired of failing, they decided to let go, and give it up to God. But the decision still hurts. Jonica longs for a child. Stacie is pregnant and doesn’t want to be. She and her husband have desires to build their careers and get more material goods before starting a family. She has decided to eliminate the problem. She schedules an abortion, and without telling her husband, Mike, has an abortion. But Mike isn’t as thrilled as Stacie is, and he leaves her. Hurt both by the abortion and her husband’s reaction, Stacie goes to Jonica in anger, blaming her for both her guilt and Mike. Can these two women form an uncommon friendship that will forge their futures? RAIN DANCE is a powerful novel about infertility and abortion. After reading Jonica’s point of view, I went and thanked God for my five children, and that I’ve never had to worry about infertility. I hurt for the women who have suffered from this. Stacie’s point of view was harder to read, as she chose to kill her baby instead of even considering giving it up for adoption. I wondered if Jonica considered adoption. The book does tend to get a bit preachy in spots, but it reads well, and the characters are loveable. This book is a story that captures what women on both sides of the pregnancy spectrum (infertility, and an unwanted pregnancy) must feel, and is a book that will reach both groups of women, offering them hope, encouragement in Christ, and is actually a valuable resource. This is a book that every church should have in its library. Discussion questions and additional resources are included at the end of the book. $12.99. 343 pages. How much does one life matter? Throughout the Bible, you will find extraordinary tales of real people that give us examples of how to live—and how not to live. And many of these true stories are about people who were teens, people just like you! Consider this: David was still a teenagers when God chose him to be king. Jeremiah didn’t let his age stop him when God called him to deliver His word. And Mary was still young when God used her for an incredible mission. TEEN PEOPLE OF THE BIBLE is a devotional especially for teenagers. Each devotional starts out with a scripture passage to read, a verse to memorize, and a summary about what this Bible character learned from his mistakes. The devotionals go on to help us to dig deeper into the scripture passage, then they apply it to your life today, and a section titled “did you know?” that will give you some trivia information about the character. The devotional ends with a prayer, and then journal questions with plenty of lines for you to write your thoughts about what you read and what you learned from it. I highly recommend TEEN PEOPLE OF THE BIBLE for the tweener or young teen in your life that is looking for a easy to use devotional just for them. This book isn’t just for guys, or just for girls, like so many, but is good for both. There are 100 devotions included in this book, and you can do one a day or one a week, whichever is easier. 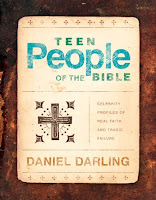 If you are looking for a devotional designed just for teens, then consider TEEN PEOPLE OF THE BIBLE. $13.99. 254 pages. Leave a comment to be entered in this contest. Void where prohibited by law. Donetta Bradford and her friends are somewhat excited about their upcoming cruise. Mostly. Donetta’s best friend, Imogene, is very concerned about the hurricane that is headed toward the Golf of Mexico, but the cruise lines assure Donetta that the cruise is leaving on schedule, and they will just go around the hurricane. So, the three ladies, Donetta, Imogene, and Lucy, head south as planned. Kai Miller works for the cruise line, and she is supposed to report for duty at 8:30 a.m. But when Kai arrives, she discovered that the ship has left early, because the hurricane changed course and was headed straight for her town. Now Kai is part of the evacuates trying to get out of town before the hurricane hits. A series of misadventures later, Kai, Donetta, and her friends, finally arrive in Daily, Texas, Donetta’s hometown. Daily makes Kai welcome, but Kai is looking at it as another place to leave behind. But then, there is hometown boy, Kemp Eldridge, who makes Kai wish she could settle down. NEVER SAY NEVER is the third book in Ms. Wingate’s Daily, Texas series, but it easily stands alone. I only had the privilege of reading the first book in the series, but had no problems skipping book two and going straight to book three. NEVER SAY NEVER does start a bit slow, but once the hurricane started changing course, and the evacuation started, I couldn’t turn the pages fast enough. There are several laugh out loud moments. Donetta is a charming older woman that I could really relate to, especially with her marriage woes. Kai was also realistic, a child who grew up with parents who were dreamers and couldn’t settle down. Kai believes she is the same way, and yet she hesitates to get involved with anyone who has dreams. I loved NEVER SAY NEVER, but the ending wasn’t as settled as I would have liked. I would have enjoyed a epilogue to kind of wrap things up there. But maybe there is another book coming out in this series, eventually. Discussion questions are included at the end of the book. $14.99. 348 pages. Take a Texas road trip, without ever leaving home! 1. How did you develop the initial story idea/plot line for this book? Some book ideas you search for, and some just blow in on the wind. For the past several years, dating back to Hurricane Katrina, we in Central Texas have been the recipients of massive hurricane evacuations. These massive exoduses of people, pets, and belongings are frightening, frustrating, challenging, and at times oddly wonderful. When so many are on the road seeking shelter, the worst, but also the best qualities of humanity come to the surface. Hurricane evacuations truly provide times when we ask the question, "Am I my brother’s keeper?" In answering that question, we’ve enjoyed amazing moments of friendship and fellowship, family reunions, and chances to share a food and space with strangers from other parts of the country. We’ve traded stories and recipies, laughter and tears. One thing we’ve learned about hurricanes, living here, is that the paths are never predictable. Storms waver, hesitate, speed up, slow down, and sometimes change course unexpectedly. Evacuations needs can change and develop quickly. What better way for the beauty shop girls to find their inner strength and to show Daily hospitality, than for their cruise plans to land them smack in the middle of a sudden and chaotic hurricane evacuation? There’s a bit of me in the setting, of course. I love Texas, in all its variety of cultures and landscapes, but, living in a small town, I have a particular affection for little bergs like Daily, where the coffee’s always hot, and a good slide of pecan pie can cure most ills. Having watched our little town mobilize to take in hurricane evacuees several times now, I’ve been reminded that sometimes the worst things that can happen bring out the best in people. Given the opportunity and faced with the need, regular people can rise to the occasion in amazing ways, as do the citizens of Daily in the book. Some members of the Wingate family might also claim to recognize themselves among the citizens of Daily, Texas. I would offer the disclaimer that any resemblances are completely unintentional, but that would be a bald-faced lie. When you come from a family of great storytellers and colorful characters, there’s nothing to do but make use of what you’ve got. 3. Did you encounter any interesting challenges while writing/researching for this book? Please explain if so. The most difficult part of working on Never Say Never was researching and reliving the devastation left behind on the Texas gulf coast last year after Hurricane Ike. While interviewing family members about their experiences during the evacuation and return, we shared laughter and quite a few tears. For those who have lived in southeast Texas all their lives, talking about familiar landmarks, heirlooms, and old family places that were washed away forever, knowing some things will never be the same, is both difficult and devastating. For those of us who have so many memories of family gatherings and vacations there, it’s hard to believe we’ll never visit the old places again. 4. Why is this book/story relevant today? Despite our best-laid plans, we all experience storms in life—whether those storms be of a weather-related nature, or due to an illness, death, or in recent months, job loss and financial misfortune. When the parameters of life and our ability to control fate suddenly change, we’re confronted with our own helplessness and need to rely on other people and God. In a culture that values independence and self-sufficiency, it’s important to remember that we all have a common need and a common responsibility for each other and that without faith we really are alone in the storm. Lisa Wingate is a popular inspirational speaker, magazine columnist, and national bestselling author of several books, including Tending Roses, Talk of the Town, Drenched in Light, A Thousand Voices, and A Month of Summer. Her work was recently honored by the Americans for More Civility for promoting greater kindness and civility in American life. Lisa and her family live in central Texas. A couple dozen phrases that'll keep you from lookin' like you don't know gee from haw. You can hang your hat on it! If you’re planning a road trip across Texas, well, my friend, you’d better get your trottin’ harness on, I’ll tell you that right now. This state’s wider than a woodcutter’s pile. You’ll be so busy here, you’ll think you’re twins. You might even meet yourself comin’ and goin’ or travel so fast you’ll catch up to yesterday. One thing’s for sure--there won’t be any grass growin’ under your feet, especially if it’s summer, because it’ll be hot as a nanny goat in a pepper patch. Don’t let that trouble your mind, though. Seeing the whole state might seem about as easy as tryin’ to saddle up house flies or put socks on the rooster, but here’re a few phrases that’ll make your trip just as smooth as a calf’s ear. You’ll find this little bit of Texan talk just as handy as a pocket on a shirt. With these phrases, you’ll be right at home in jig time, and happy as a pig in sunshine, I promise. Folks’ll think you’re just as fine as frog hair split four ways. Why, you might even find yourself a Texas gal who’s cute as a bug’s ear or a fella who catches your eye like a tin roof at noonday. Even if you don’t find love here, you’ll run across lots of folks who’re so friendly, they’ll add a cup of water to the soup and tell you to get your sittin’ britches on. Some of them might be full of wind as a corn-eatin’ horse, but you’ll be welcome ‘till whenever you figure it’s time to put the chairs in the wagon and turkey-tail it toward home. When you do, we’ll keep a light on and a hitch out for ya, just in case you miss us like a west Texas farmer misses rain. You’re welcome to darken our door any old time. Long as we got a biscuit, my friend, you got half, and if that ain’t a fact, well, then I’m hip high to a horned toad. Sophie Ramsay is now a senior in high school, and it should be the best year of her life. But a mistake made during summer camp is haunting Sophie. The boy is “hot” and Sophie’s best friend, Carrie Anne, imagines that she’s in love with him. But Sophie is finding it incredibly hard to be around him…he promised to call, and didn’t. Was he simply unable to keep his promise, or did he intend to lie? Now school is starting. Sophie is a shoo-in for editor of the school newspaper, and she’s on the year-book committee. She even managed to turn the head of a really great guy at school. But a secret Sophie is carrying threatens to destroy it all. ANYTHING BUT NORMAL is the newest book by Melody Carlson. She is a very talented author who suddenly was able to transform me from a forty-something year old woman into a teenager, with all the angst, drama, and attitude. The book was a bit too much “telling” at first, keeping me distant, but as the story progressed I became Sophie and felt all her emotion. Ms. Carlson is an extremely talented author who is able to convey her point easily and engagingly. I thoroughly enjoyed reading ANYTHING BUT NORMAL, but it did make me kind of glad the teen years are far behind me now. (Its enough to live the drama through my own teens!) My teenage daughter is anxiously awaiting me to finish this review and hand her the book. Don’t miss any book by Melody Carlson. And if you are a teen, or the parent of one, check out ANYTHING BUT NORMAL. $9.99. 251 pages. She was smart, well-liked and about to start her senior year. But now she has a secret to keep hidden and a broken heart in need of healing. Melody Carlson is able to write to teenaged girls in ways that tap into their greatest hopes, fears and struggles and, through the tales of her beloved characters that quickly become like BFFs, help readers make sense of the confusing and complicated world around them. Sophie is your normal, average high-school girl who attends church and gets good grades. The summer is wrapping up and while she should be counting down the days to the start of her senior year, she’s anything but excited. What Sophie’s in need of right now is a fresh start. While her best friends are worried about what to wear and the cutest guy in school, Sophie’s got bigger concerns—like the secret she’s keeping about what happened this summer. She’s about to find out that she won't be able to keep things under wraps much longer. In this page-turning novel, Carlson offers readers a realistic and heartwrenching vantage point into the messy and emotional world of teen pregnancy. Readers can relate with Sophie who just wants to be normal and loved, but now must figure out how to deal with the consequences of what has happened. Melody Carlson is the award-winning author of over two hundred books, several of them Christmas novellas from Revell, including her much-loved and bestselling book, The Christmas Bus. She also writes many teen books, including Just Another Girl, Anything but Normal, the Diary of a Teenage Girl series, the TrueColors series, and the Carter House Girls series. Melody was nominated for a Romantic Times Career Achievement Award in the inspirational market for her books, including the Notes from a Spinning Planet series and Finding Alice, which is in production as a Lifetime Television movie. She and her husband serve on the Young Life adult committee in central Oregon. Sound familiar? Then LOVE & WAR is the book for you. John and Stasi have been there. In fact, just a couple years after they married, John and Stasi talked divorce. And in any marriage that has lasted for over two decades, we know that the thought does cross the minds of married couples—even those who want to be in it for the long haul. Filled with real stories, LOVE & WAR explains in many different real life scenarios why marriage is work—but it’s worth it. That “loving costs everything, but is worth it.” Sometimes, it the day-to-day grime of regular life that is hard to see. But in LOVE & WAR, the authors show how God saved their marriage, and how they recently celebrated their twenty-fifth wedding anniversary. They show couples how to fight for their love and happiness. John and Stasi address many subjects in their book, but one of the most powerful was the chapter entitled “When Storms Descend.” We all go through stormy periods in our life, and marriage is no different. This book is worth reading for this chapter alone. LOVE & WAR is a book for any married couple, whether they’ve been married mere hours, day, weeks, or months. Maybe even for those married for only a few years. Or maybe even for those nearing their silver anniversary, to remind them that they aren’t alone, and don’t give up now… For all couples, all walks of life. A must for the church library. $22.99 hardcover. 222 pages. What the Eldredge bestsellers Wild at Heart did for men, and Captivating did for women, LOVE & WAR will do for married couples everywhere. John and Stasi Eldredge have contributed the quintessential works on Christian spirituality through the experience of men and the experience of women and now they turn their focus to the incredible dynamic between those two forces. With refreshing openness that will grab readers from the first page, the Eldredges candidly discuss their own marriage and the insights they’ve gained from the challenges they faced. Each talks independently to the reader about what they’ve learned, giving their guidance personal immediacy and a balance between the male and female perspectives that has been absent from all previous books on this topic. They begin LOVE & WAR with an obvious but necessary acknowledgement: Marriage is fabulously hard. They advise that the sooner we get the shame and confusion off our backs, the sooner we'll find our way through. LOVE & WAR shows couples how to fight for their love and happiness, calling men and women to step into the great adventure God has waiting for them together. Walking alongside John and Stasi Eldredge, every couple can discover how their individual journeys are growing into a story of meaning much greater than anything they could do or be on their own. "Fisher kicks off a refreshing new series, Lancaster County Secrets, with characters that are strong, both in body and spirit. They also have weaknesses that develop into strengths with the choices they make." Her relatives on my mother's side are Old Order German Baptist Brethren, also known as Dunkards. That's where her interest in Anabaptist traditions began. Suzanne's grandfather was born into a family of 13 children, started his career as a teacher in a one-room school house in Franklin County, Pennsylvania, and ended it as one of the very first publishers of Christianity Today. "We called him "Deardad" even though he was a very stern fellow. Still, Deardad's life inspired me to write." Tweet it yourself to be entered and share this contest with your readers! Please make sure to use the hashtag #thechoice to be entered. BONUS: Every blogger on the tour who tweets this will be entered to win a $25 gift certificate to Amazon. There is no limit on the times you tweet it. To participate, simply come back to this event page on the 15th, 8 pm EST (7 pm CST, 6 pm MST, & 5 pm PST) and join in the conversation. We'll use the Event Wall to chat (just hit refresh to keep up with the current conversation) and we'll post all the info and trivia questions in the Description section. Indigo Burns wedding preparations are coming along beautifully as Indigo plans to marry the man of her dreams. Not only that, but Indigo’s new photography career seems to be a success, and her family has healed and are doing better than ever…except for one person. Reuben Burns is Indigo’s brother, and the family hasn’t heard from or seen him in years. But now, Reuben unexpectedly has decided to move back to Jubilant, Texas, Indigo’s home town. He apparently hopes to find a new relationship with his sisters. But the wounds inflicted are deep, and hopes for healing seem to be just pipe dreams. Added to this, Indigo’s younger sister, Yasmin, makes a life-altering decision. Now the family has been torn apart again, and it seems only a miracle will allow them to love each other unconditionally. DREAMS THAT WON’T LET GO is book three in Ms. Adams Jubilant Soul series. I recommend reading books 1, The Someday List, and 2, Worth a Thousand Years, first before reading DREAMS THAT WON’T LET GO so you are current with all the events that have happened in the series. Ms. Adams is a best selling Urban author, with good reason. Her writing is stellar, with well developed characters, settings that you can envision, and a plot line that women can relate to. There is some telling in the story, but as a whole, DREAMS THAT WON’T LET GO is a book that will stay with the reader for a long time to come. Discussion questions are included at the end of the book. $12.99. 236 pages. releases the final book in her popular Jubilant Soul series: Dreams That Won’t Let Go. Readers have followed along with the Burns family of Jubilant, Texas as they’ve experienced heartaches, celebrated new faced life-changing choices and learned how far faith can carry them through it all. Now in Dreams That Won’t Let Go, everything seems to be going along perfectly for Indigo Burns: Her wedding preparations to the man of her dreams are under way and her career as a photographer is a success. Even her family seems to be doing better than ever—all except her brother Reuben who no one has seen in years. But that's about to change, because Reuben has decided to move back home to Jubilant, bringing with him all his unspoken secrets and upsetting all of Indigo’s best-laid plans. As the family struggles to deal with the pain of the past and find healing, Dreams That Won’t Let Go illustrates that despite what has happened in our lives, there is always a second chance where love conquers all. Do you live your life like you believe in God? If your coworkers looked at you, would they know that you are a Christian by the way you act and talk? Or are you someone who makes a token appearance at church on Sunday morning, and then lives your life the way the world does? How often do you think about the Lord? Do you show much love and concern to others? Do you feel gratitude to the Lord for his blessings? Is God’s love reflected in your actions? Or are you giving Christianity a bad name? In IF GOD WERE REAL, Dr Avant maintains that many Christians, in their practical, day-to-day lives are living as though they are atheists. When Christians don’t live up to their names, there is not much of Christ left in that form of Christianity, and in IF GOD WERE REAL, Pastor Avant challenges us to consider what life would be like if we lived like we really believe in God. Dr. Avant suggests t hat it cause a pursuit of a new Jesus movement that resembles Christ’s original followers—followers that are so steadfastly devoted to Him that their every action reflects His glory. IF GOD WERE REAL is written in a conversational tone that will draw the reader in. Written in a common mans language, this is a book for you, even if you are not a bible scholar, but just a common man, struggling to learn what you can about your life in Christ. I really appreciated Dr. Avant’s thoughts on the subject, and am looking forward to my own discovery of the real God and a life built around praise for Him. $14.99. 224 pages. PJ Sugar is out to prove herself as a PI Assistant—one case at a time. PJ’s boss, Jeremy Kane, has given PJ an official case—but it isn’t near as exciting or dangerous as PJ has hoped. It is simply housesitting for a witness in protective custody. This witness, Dally, is insisting that her life is in danger, and that someone has been stalking her, but Jeremy believes she is over reacting. After all, she has a FBI agent assigned to her case, and Lee assures Jeremy that he is watching Dally’s house and hasn’t seen anything. Still, Jeremy spirits Dally away, somewhere that Lee isn’t even privy too, and leaves PJ to stay in the house. PJ is thrilled with this time away, hoping that it will help her to decide whether to accept Boone Buckam’s marriage proposal. But it doesn’t take PJ long to discover that Dally isn’t kidding, that someone is stalking her. But who is it? The next door neighbor’s grandson? An irate customer who didn’t appreciate how Dally styled her hair? A former lover? Or is someone trying to silent her before the trial? DOUBLE TROUBLE is the second book in the PJ Sugar series. I recommend reading Nothing But Trouble before reading DOUBLE TROUBLE, so you have some clues what happened earlier in the book, but I don’t think it would ruin this story any if you read DOUBLE TROUBLE first. PJ Sugar is a realistic heroine, struggling with past demons, and trying to make sense out of her life and figure out who she is. I had to admire the way PJ’s mind works and her quick thinking when danger comes calling. And in spite of PJ’s talent for attracting trouble, she is kind and carrying and wouldn’t want to hurt anyone. The book did begin a little slow, but as soon as the true story began, it picked up. Don’t miss DOUBLE TROUBLE or any of Susie’s books. I’m looking forward to reading Licensed for Trouble due out later this year. $13.99. 335 pages. To find out more about Susan, or her other books, check out her website atwww.susanmaywarren.com! With one solved case under her belt, PJ Sugar is ready to dive into her career as a private investigator. Or at least a PI's assistant until she can prove herself to Jeremy Kane, her new boss. Suddenly PJ's seeing crime everywhere. But is it just in her head, or can she trust her instincts? When she takes on her first official case-house-sitting for a witness in protective custody-Jeremy assures her there's no danger involved. But it soon becomes clear that there is someone after the witness . . . and now they're after PJ, too. After traveling the country for ten years hoping to shake free from the trail of disaster that's become her life, she needs a fresh start. The last person she wants to see when she heads home for her sister's wedding is Boone-her former flame and the reason she left town. Her best friend's husband absolutely did not commit the first murder Kellogg, Minnesota, has seen in more than a decade.